Palm trees are great. They calm me, mostly because even if they are highly manicured & placed in a neat little line – there’s something about them that yells Southern California to me. They symbolize several things but to me, I think of an oasis. A calm resting spot amidst a desert. In-N-Out Burger can be my calm resting spot amidst chaos. Now when we visit home, it is a mandatory stop at some point. Sometimes a mandatory two…or three…or four stops. 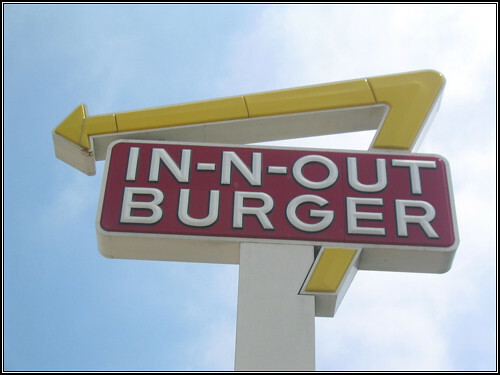 I’m not a ‘fast food’ person – unless it is In-N-Out. Because they are divine with a dash of nostalgia. Now I rarely wax poetic about hamburger joints – as many of you know I am a vegetarian. & In-N-Out doesn’t have veggie burgers. 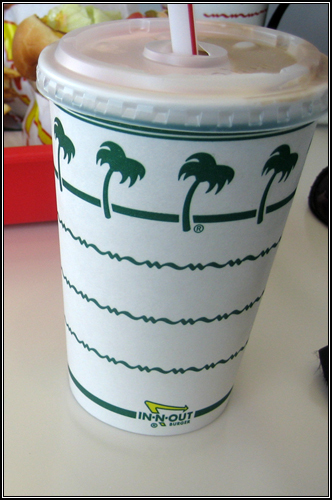 But if you order a ‘grilled cheese’…..
You see, In-N-Out has an incredibly basic menu but there are also secret codes. & if you know them, your yummy points increase exponentially. Say you want something ‘Animal Style’ (see upper order of fries), or a Neapolitan shake (for those of us who just can’t decide)…the list goes on. Oh & did I mention the ingredients are fresh & delicious? & the prices are amazing? Dear In-N-Out, I love you. I’m already planning my order for next time. 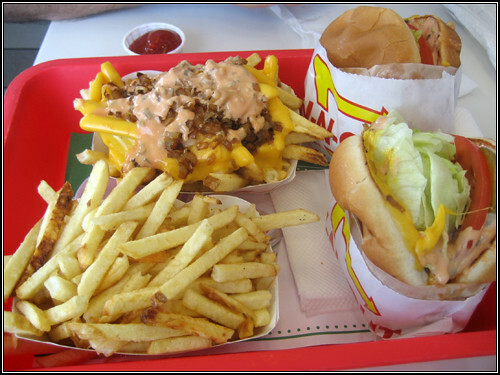 I didn’t think that I would want In-N-Out again so soon, but I really do. Another reason to go back.